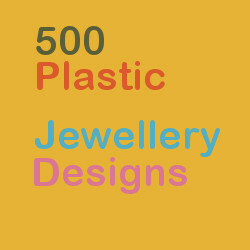 500 Plastic Jewelry (sic) Designs, ed. Marthe Le Van et al. More copies of this popular book have been added to stock. A global survey of the best work in resin, latex, rubber, epoxy, acrylic and other plastics. Beautifully illustrated, it covers a wide range of techniques and approaches; from recycling to CAD/CAM. This entry was posted in Library books and tagged "Art Library", jewellery, plastics, The Cass. Bookmark the permalink.